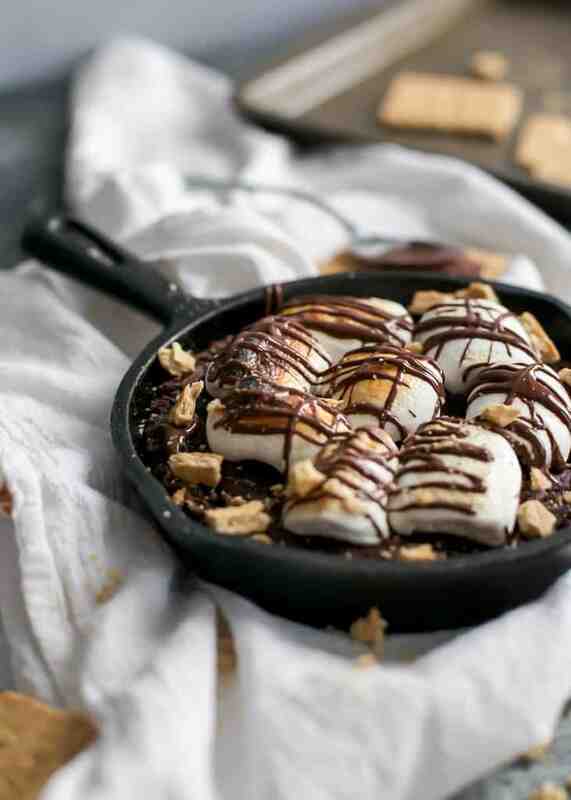 S’mores + brownies in your own little skillet is basically heaven. I thought it was about time we all needed a little (s)more dessert in our lives. Get it? s’more dessert…? SOME MORE DESSERT. Okay, not yelling. Just clarifying. I think you get it. Not trying to be like Squints here. Anywayz guyz. S’more season is here! It’s a thing. Just trust. Obviously we can enjoy s’mores anytime of year but I feel like a majority of us are loading up on the s’mores during the summer. And being the food blogger I am, I’m always looking for loads of ways to share a new spin on this classic summertime dessert. I mean, who doesn’t freaking love s’mores?! For weeks I had in my calendar “S’MORES DESSERT” but had no idea what to share with you. 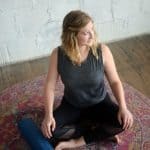 I always text my Pal in these instances and send an SOS text: “HELP! 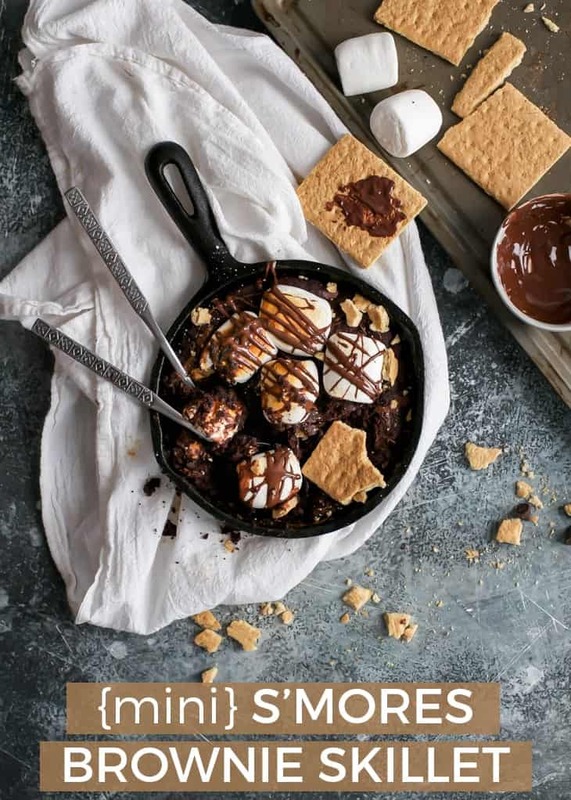 I want to share a s’mores dessert on the blog but I got nothing.” She helped me brainstorm and reminded me about my little personal dessert skillets. DUH. 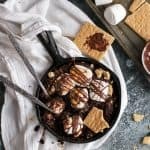 A freaking personal s’mores skillet dessert? Heck yes. Super quick, easy and great for sharing or just when you want a small batch of a dessert. 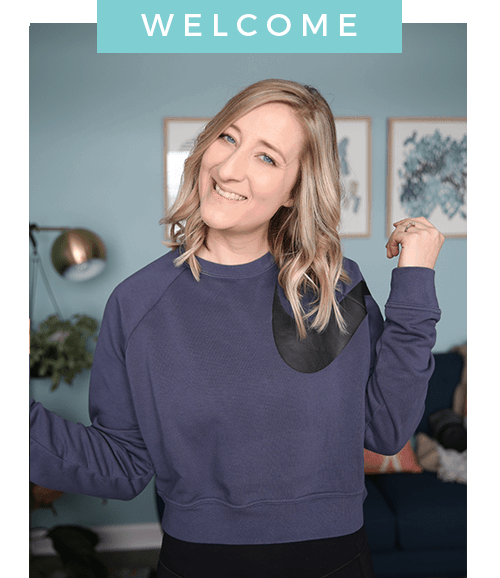 I get used to having desserts around the house all of the time, but for those of you that don’t want big batches of treats hanging around (I totally get it, it’s super tempting and sometimes portion control is hard!) these little dessert skillets are perfect. Mmmhhmmmm you definitely want this in your life. Basically all you need is one bowl and a small whisk or fork to blend combine all of the ingredients. We’re using melted butter so no need to bust out the electric mixer here. The butter gets whisked together with the sugar, then in goes the egg and vanilla. Next up are the dry ingredients – at this point the batter will get a little thick and that is where you add in some milk to help smooth it out. The crushed graham crackers and chocolate chips get folded in last before you spread the batter into a greased 6″ skillet and then into the oven it goes. 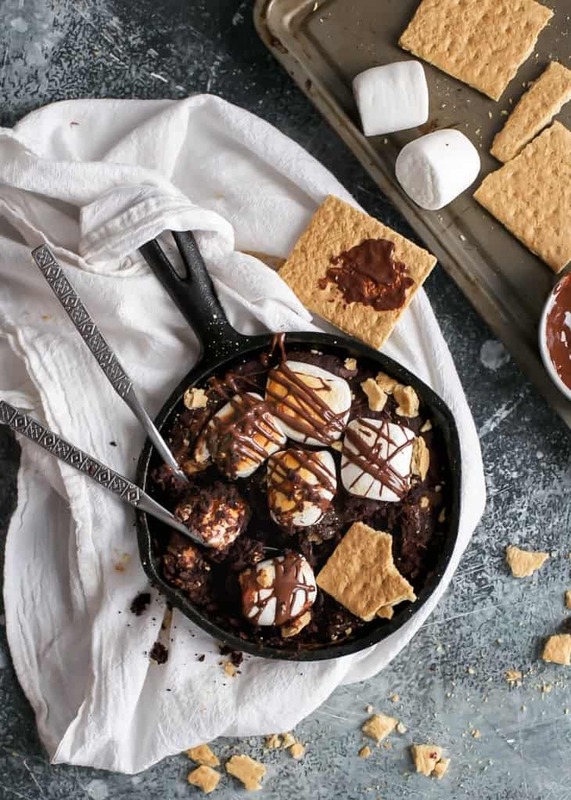 You’ll bake the brownie skillet for about 10 minutes before adding the marshmallow halves and broiling them at the end for that golden char. Be sure to literally *WATCH* the marshmallows broiling because I set my timer for 3 minutes (with 400ºF oven temp) and I saw them start to get dark about 1:30. So I’d suggest just watching the whole time. Do some calf raises or something while you wait and watch, lol. Oh oh, and then drizzle with melted chocolate because that’s just what we do around here. You can use one bowl. If you’ve got a toaster oven, this kind of recipe is perfect to bake in a small oven – no need to turn on the big guy if it’s super hot out. I’m cracking myself up guys. Maybe it’s the coffee I’m drinking. Maybe it’s the fact I am at a coffee shop as I write this and they’re playing some throwback jams like “Whoomp! There it is.” along with lots of DMX and Snoop Dawg… I’m not mad about it. 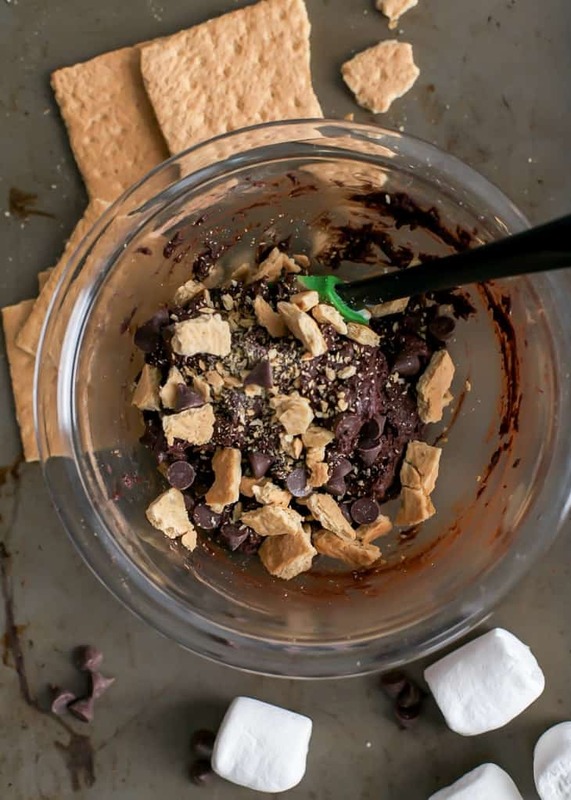 Now let’s make this s’mores brownie already. Preheat oven to 325ºF and grease a mini 6″ cast iron skillet well with butter or oil, set aside. In a medium bowl stir together melted butter and sugar until well combined. Add in egg yolk and vanilla; stir until evenly mixed. Add in flour, cocoa powder, baking soda and salt; stir with fork or spatula to combine. Add in milk one tablespoon at a time until batter is thick but somewhat smooth. Fold in crushed graham cracker and chocolate chips. Bake for 9-10 minutes, making sure not to over-bake. Remove skillet from oven and place marshmallows cut side down on top of brownie. 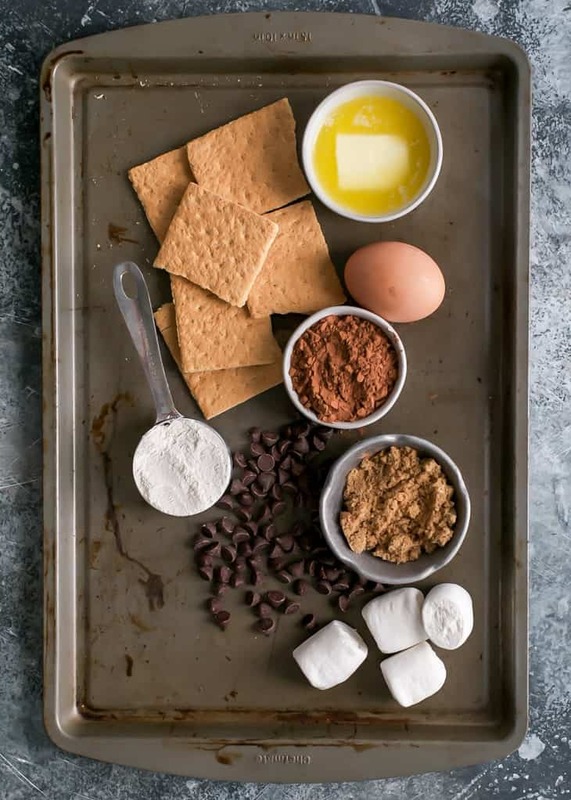 Change oven to broil (about 400ºF if possible) and brown marshmallows slightly for about 90 seconds – watch marshmallows for the 90 seconds to make sure they don’t burn. You can use all whole wheat white flour, half whole wheat/half all-purpose, or 1:1 gluten-free all-purpose flour. You may need to add a touch more liquid if using all whole wheat or the gluten-free flour blend. You’ll likely be good to use 1/3 cup all-purpose flour as well. Because the batter is baked in a small skillet, the ratios are somewhat forgiving. 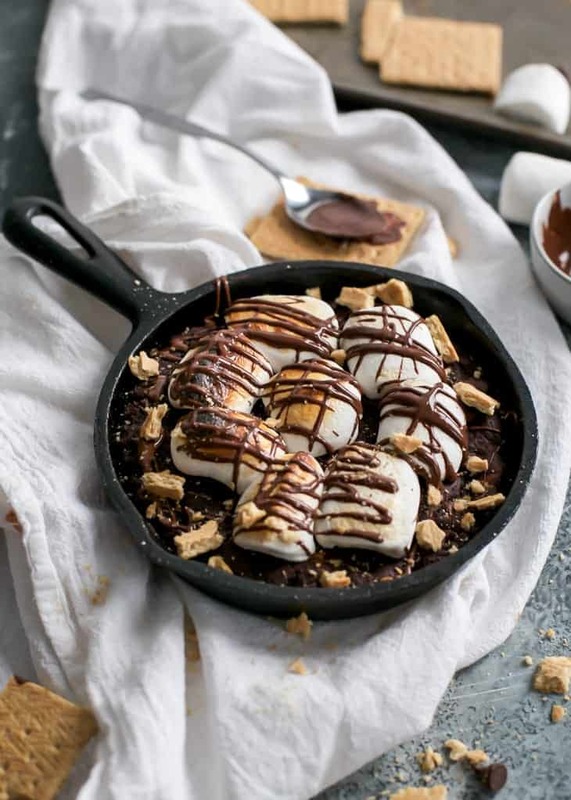 GRAIN-FREE PALEO-FRIENDLY SUB: Use this brownie skillet recipe, fold in these crushed cookies, continue with browning marshmallows. Pretty sure I could eat this all my myself 🙂 summer dessert perfection in a cute mini skillet!! This is such a yummy and cute idea. Thanks for sharing! Hi, do you think this recipe is still ok if I have a bigger skillet? I only have an 8”.